2014 Christy Award and ECPA Christian Book Award and Finalist! 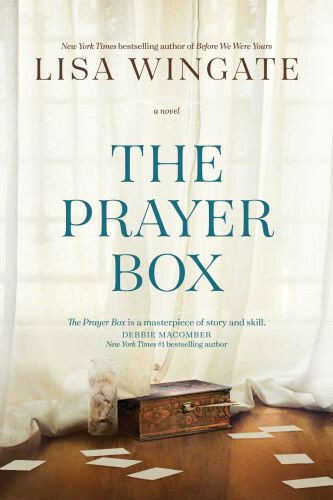 Running from a messy, dangerous past, Tandi never expects to find more than a temporary hiding place within Iola’s walls, but everything changes with the discovery of eighty-one carefully decorated prayer boxes, one for each year, spanning from Iola’s youth to her last days. Hidden in the boxes is the story of a lifetime, written on random bits of paper—the hopes and wishes, fears and thoughts of an unassuming but complex woman passing through the seasons of an extraordinary, unsung life filled with journeys of faith, observations on love, and one final lesson that could change everything for Tandi.